U.S. 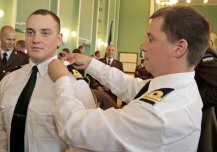 Naval Forces Europe-Africa/U.S. 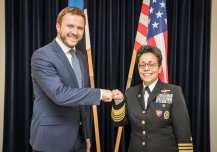 Sixth Fleet's Commander Michelle Howard is having a wonderful visit to Estonia. In addition to meeting with the country’s senior officials, Admiral Howard had a chance to meet with a number of inspiring EDF servicewomen who are making significant contributions to Estonian security and national defense! 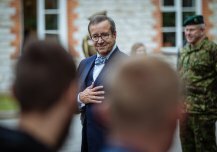 The President of Republic of Estonia making his farewell visit to Defence Forces. 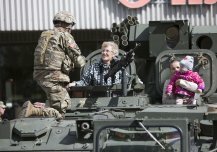 Dragoon Ride: Heading into Eastern Europe with the U.S. Army’s 2nd ACR. 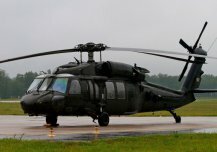 The goal of “Dragoon Ride II” is to demonstrate NATO forces’ freedom of movement along NATO interior lines, as well as the U.S. commitment to NATO security. 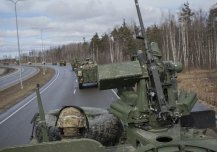 The road march also facilitates the movement of U.S. Army units and equipment to the Baltic States for participation in the “Saber Strike 16” exercises. Last lineup in Headquarters Support and Signal Battalion before going into the Reserves. 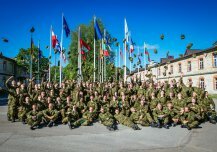 Over 2000 conscripts of Estonian Defence Forces who started their compulsory military service last July and October are going into the Reserves. Minister of Defence Hanso: NATO’s “open door policy” will continue. 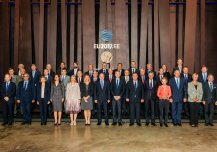 At the most prestigious security conference in the Tbilisi region, Minister of Defence Hannes Hanso stated that NATO’s “open door policy” will remain in force and that Estonia supports NATO’s expansion. 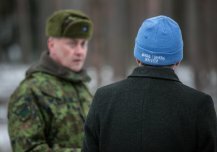 The Estonian Defence Forces' largest annual, 18-day exercise Spring Storm kicks off on 2nd of May, which will involve approximately 6,000 troops from a total of ten allied countries this year. The Blue Hepatica flower signifies our gratitude and recognition of the veterans of the Estonian Defence Forces and Defence League and of their loved ones. 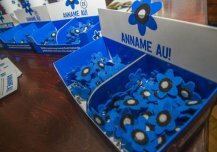 Every spring the Estonian Association of Wounded Warriors carries out the charity campaign “We Salute!” to invite people to wear Blue Hepatica pins in support of veterans and their family members. On March 21st, a coy from US Army 2nd Cavalry Regiment started to ride back to the home base in Germany. The ride showed commitment of our allies in support of deterrence and maneuver capabilities of their units. 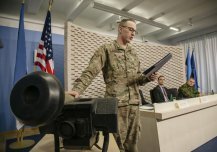 In November 18th Minister of Defence Sven Mikser signed a treaty to procure anti-tank missile system Javelin from the United States. 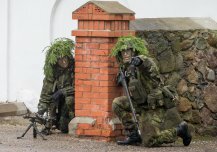 Estonia will purchase 80 Javelin systems and ammunition for less than 40 Million Euro. The Javelin is introduced by Sgt. Brett Rumping, US Army. 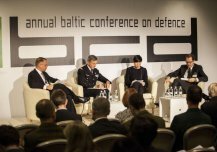 Ministry of Defence and the International Centre for Defence Studies organized on Thursday, September 25th in Estonian capital the Annual Baltic Conference on Defence. This year the conference focused on the links between technological progress and security. 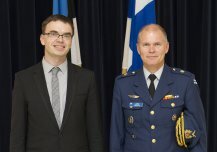 Minister of Defence Sven Mikser and Commander of the Finnish Defence Forces General Jarmo Lindberg discussed on Monday, September 8th the future cooperation of the two neighboring countries. 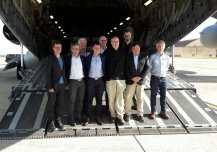 Participation in the Nordic Battle Group, new NATO mission in Afghanistan Resolute Support and Nordic-Baltic defence cooperation were the main topics of the meeting. 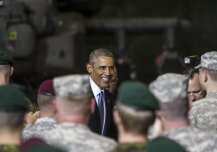 Barack Obama met with Estonian servicemen and American paratroopers during the US President's visit to Estonia on Wednesday, September 3rd. 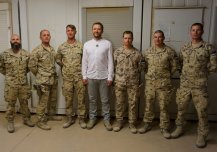 Obama thanked the US and Estonian soldiers for their service. 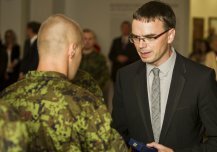 Minister of Defence Sven Mikser awarded on Thursday, 28th of August the Estonian Defence Forces service members who returned from a four month long EU Mission to Central African Republic. The service members were presented the MoD Medal of Participants in International Military Operations. 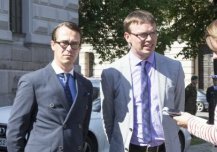 12th August: Defence Minister Sven Mikser met his Finnish colleague Carl Haglund in Helsinki to discuss the recent events in the Ukraine and regional security.